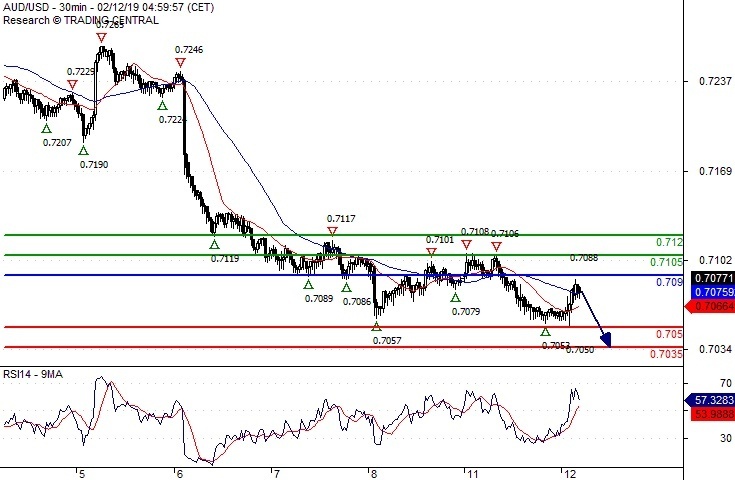 Our preference Short positions below 0.7090 with targets at 0.7050 & 0.7035 in extension. Alternative scenario Above 0.7090 look for further upside with 0.7105 & 0.7120 as targets. Comment A break below 0.7050 would trigger a drop towards 0.7035.